Let's get something straight. I didn't choose to play Destiny. It just showed up at my doorstep one day. One of my fellow editors here at Destructoid, the one and only Darren Nakamura, sent it to me out of the blue. Initially, I was inclined to throw the damned thing away and be done with it. Darren probably knew it was something I wouldn't enjoy. Nothing about it seemed remarkable. In my mind, it was -- at best -- a slick hybrid of a shooter and an MMO that had any rough edges polished to the point it no longer possessed a soul. But the numpty quelled my concerns and persuaded me into giving it a go. Over the course of many moons, Darren dragged me through the main story, and I went kicking and screaming. I complained about everything. I was probably insufferable. Thankfully, Darren is a mild mannered, polo shirt-loving badass. A lesser man might have taken umbrage with some ingrate recounting a litany of beefs with his most generous gift. But not my mate Darren. As we were finishing whatever the hell the story in Destiny is about, I received a disappointing reward from a character, the aptly named Stranger, who I had just met, knew next to nothing about, and would never see again. I also received another parcel from Darren. It happened to be a copy of The Taken King. Just when I thought I was out, he pulled me back in. With something he promised to be better, I relented and gave Destiny another chance. At this point in time, Darren walked away. Like a drug dealer who had given some poor sod his first bump, he let me alone with my addiction. Soon after, I booted up Destiny for the first time without having been asked to play first. 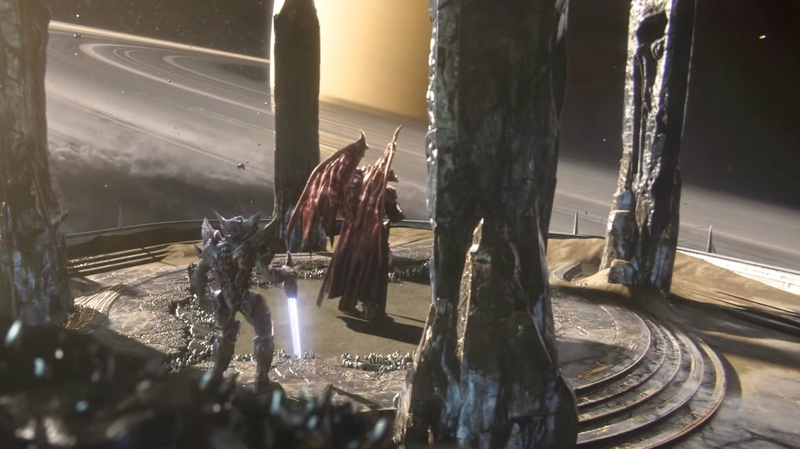 And, much to my surprise, I was gobsmacked by The Taken King's beginning sequence. 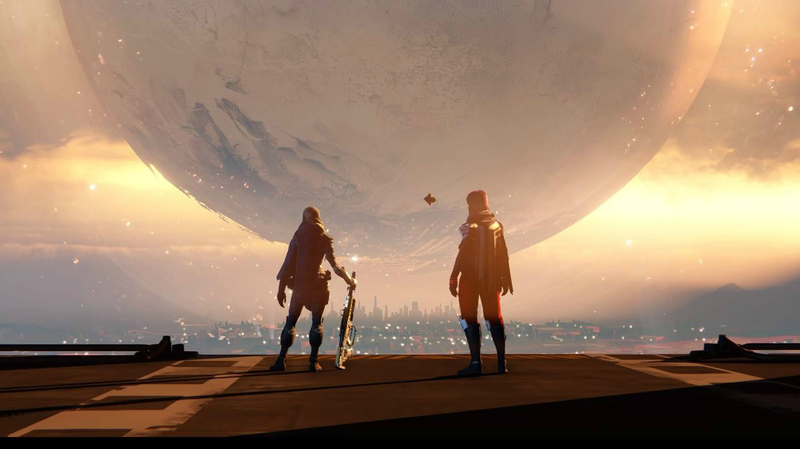 From an entertaining opening cinematic to a story mission that actually integrated narrative with gameplay, it was unlike anything I had seen from Destiny before. It was what I wanted from the experience all along and had hope it might become. The Taken King isn't entirely like that. It often falls back on design structure that skews more closely toward the deeply flawed base game. 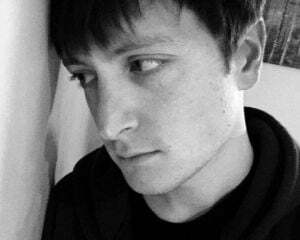 However, there are enough sincerely enjoyable touches and flashes of brilliance that made it something I continued to play solely for my own amusement, rather partly out of a sense of obligation to someone who sunk a lot of time and effort into intimately sharing something he had built up an appreciation for. The narrative in The Taken King was, for once, comprehensible, and at times even managed to be endearing. Aside from Cayde, a sentient robot (portrayed by Nathan Fillion) who is always a joy to be around, the only other character that seemed to show some humanity was, ironically, the Ghost. Yes, the character so maligned Bungie replaced the voice over of Emmy-winning Game of Thrones star Peter Dinklage with the omnipresent vocal talents of Nolan North. In an excellent line of dialogue, the protagonist's floating mechanical companion notes that Rasputin (a powerful artificial intelligence -- called a Warmind -- whose well-defended bunker the player is traipsing through at the time) has a nicer setup than his own, and then complains about living "in your backpack." In another, he facetiously remarks about another one of the more stoic, less developed characters, saying he's probably not much fun at parties. 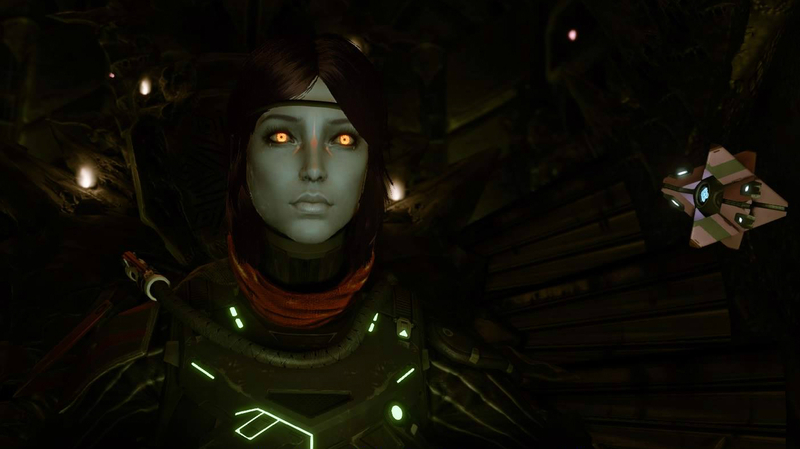 The Taken King has a few other standout moments that separate it from what came before. There is a stealth mission, which, while abrupt and raw, at least showed the designers tried to do something different for once. Another section of the game deceives the player, leading them to believe a mission is over and they'll soon be transported back into orbit. But in a moment that breaks the fourth wall, the "mission complete" banner atop the screen is a ruse, and a horde of enemies comes out of the woodwork as the mission unexpectedly begins anew. The first time I experienced this, I had set the controller down and was stretching my legs, as I expected to be waiting through another one of the game's inordinately long (but gorgeous) loading screens for a good long while. Instead, I was greeted with a quick death, and Darren howling in my ear. Rather than warn me and spoil the surprise, he let me die. That moment, more than any other in the countless hours I've whiled away with Destiny, truly distinguished itself. And not just from all the others spent blasting aliens in the face, but from all video games, save perhaps Eternal Darkness. It left a lasting impression. I sincerely hope to see Destiny move further in that direction moving forward. It needs characters who are actually characters, not vessels for poorly fleshed out narrative threads, or thinly-sketched actors that seemingly exist to offer transactional relationships and little more. It needs to pull story out of the app and off the website and insert it back into the actual game. It needs fresh story beats and new ideas to punctuate the experience and break up the tedium.